This investigation involves Donald Trump and Russia but has nothing to do with the 2016 presidential election. A Russian billionaire who purchased an oceanside Palm Beach estate from Donald Trump is now denying there was anything fishy about the sale. U.S. Senator Ron Wyden (D-Oregon) has requested property records to investigate allegations of money laundering tied to the $95 million sale of the 6.3-acre Maison de L’Amitie estate in 2008. 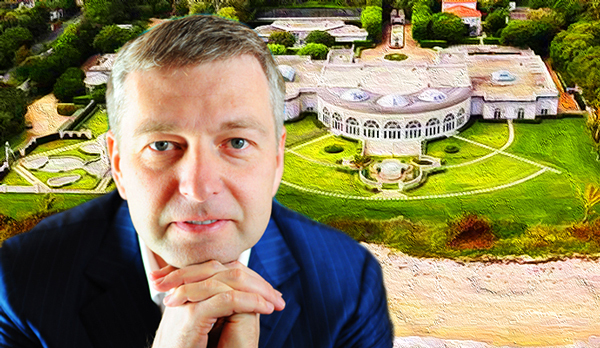 Dmitry Rybolovlev bought the property at 515 North County Road from Trump, netting the now-president more than $53 million just four years after purchasing the mansion in a bankruptcy auction. Wyden, a ranking member on the finance committee, asked the Treasury Department for the property records because it sold for well above the property’s $65 million valuation at the time, according to the Palm Beach Post. A spokesperson for Rybolovlev said there were no allegations of impropriety at the time of the purchase and that since then, Rybolovlev demolished the mansion and divided up the property, selling two lots for a combined $71 million. The investment has paid off, the spokesperson said. The 2008 sale was reported in the Guardian as “the most expensive residential sale ever recorded,” according to Wyden’s letter to the Treasury Department. Rybolovlev never lived in the home and Wyden claims he only visited it once. The U.S. senator goes on to connect the sale to Trump’s “then-precarious financial position” following a string of bankruptcies, suggesting he used the money from the sale to pay off debts because no financial institutions would lend money to him. A representative for Trump initially claimed he spent $25 million to renovate the property, but in 2013 the president said he “put in $3 worth of paint and gave it a good cleaning” before selling it.